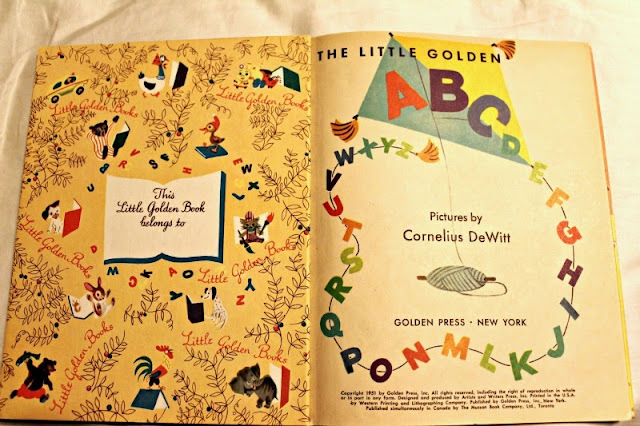 Another Little Golden Book for you today, another purchase from the antique mall. 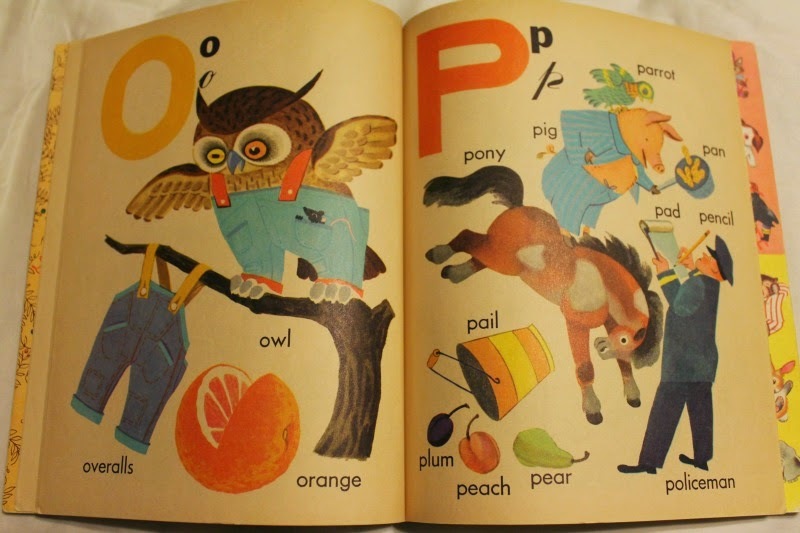 This one is in lovely condition. Just a letter A drawn in pencil on the front cover, and a pencil line on the title page. 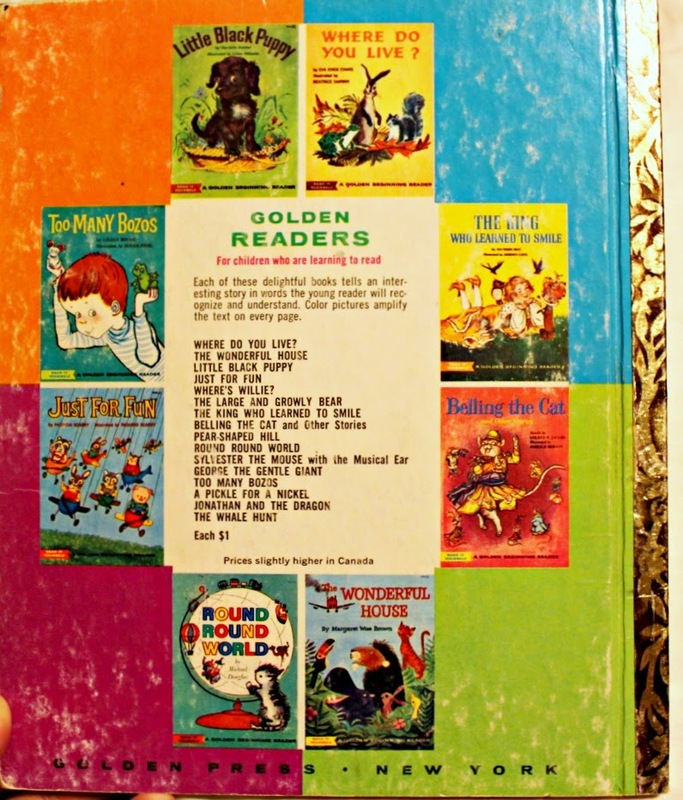 The pages are very thin and yellow, though, so I opted to photograph this one, rather than scan it. 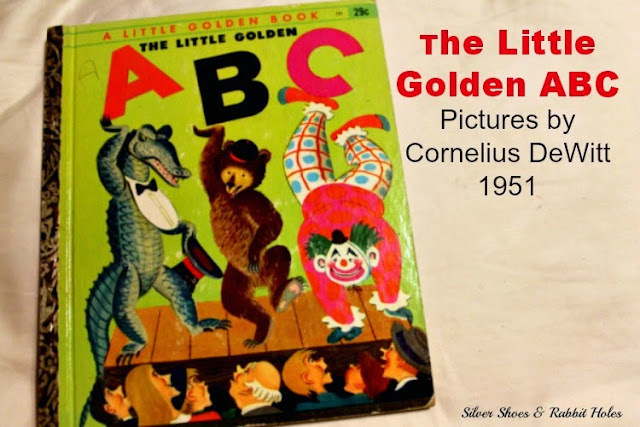 I don't know much about Cornelius DeWitt, the illustrator, other than the fact he illustrated quite a few books for Golden Press during this time period. 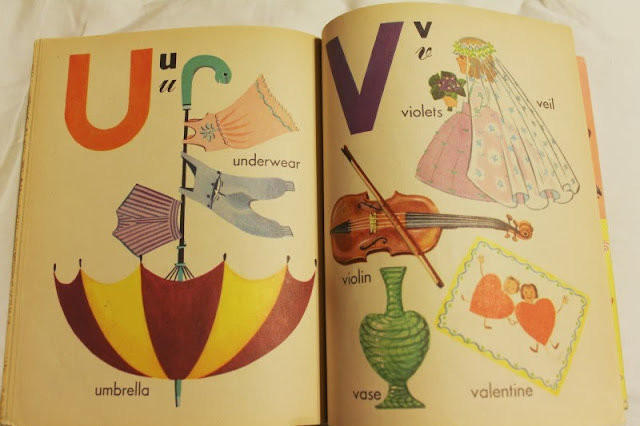 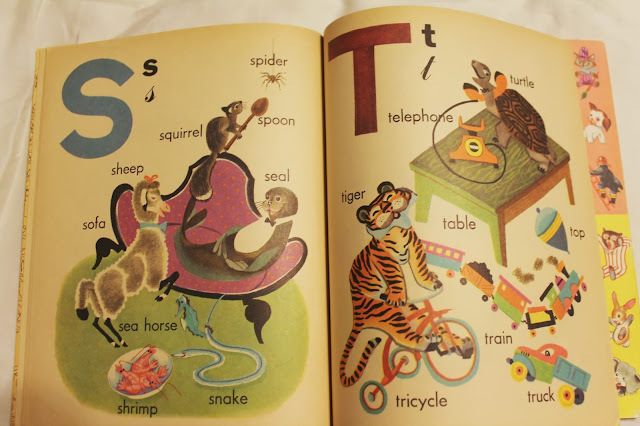 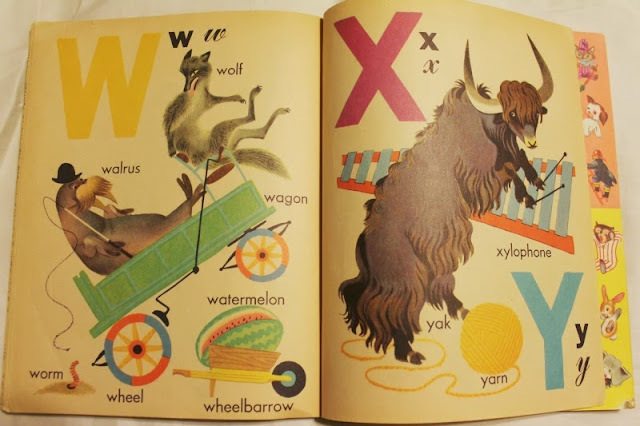 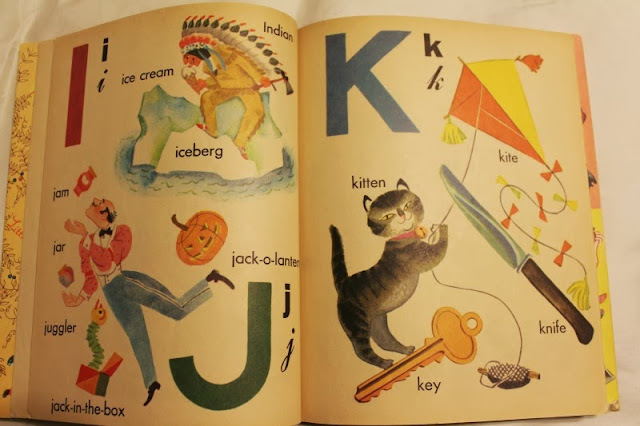 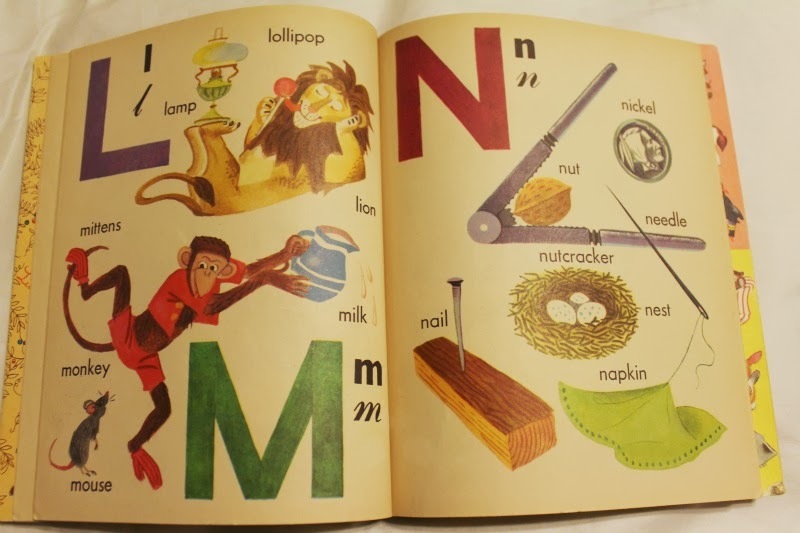 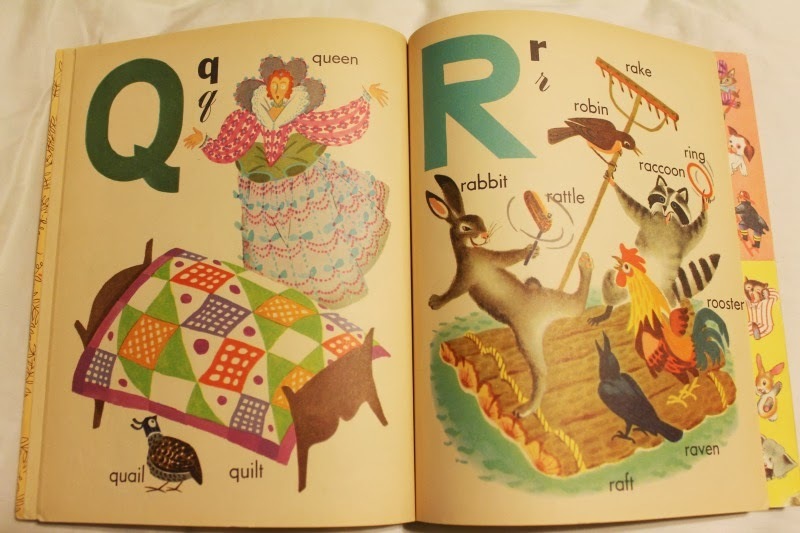 I think the pictures in this simple alphabet book are quite charming. 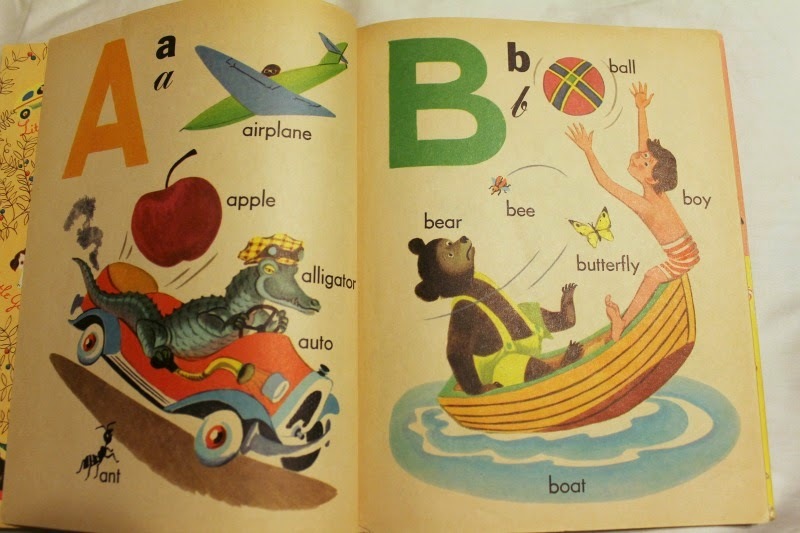 So without further ado, here is The Little Golden ABC, published by Golden Press, 1953. Once again you found an incredibly beautiful book. 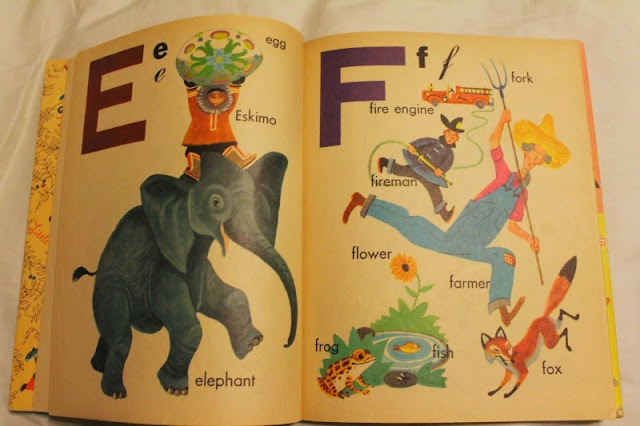 Those illustrations are a delight for the eyes! What a treasure! It looks you have found a great illustrator. 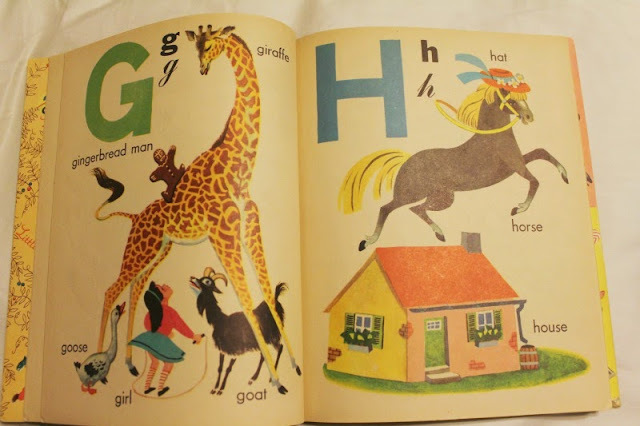 I couldn't find anything about him, but I found pictures of some of his other books for Golden. 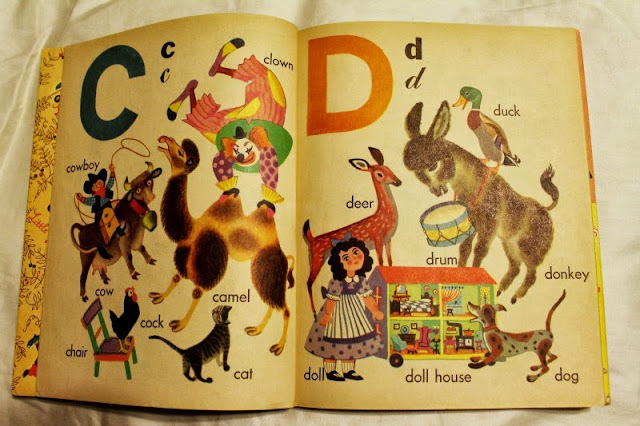 This one looks impressive! xoxoxo I have to keep my rack filled! This was one of my favorite golden books to read with my kids, who wore it out. 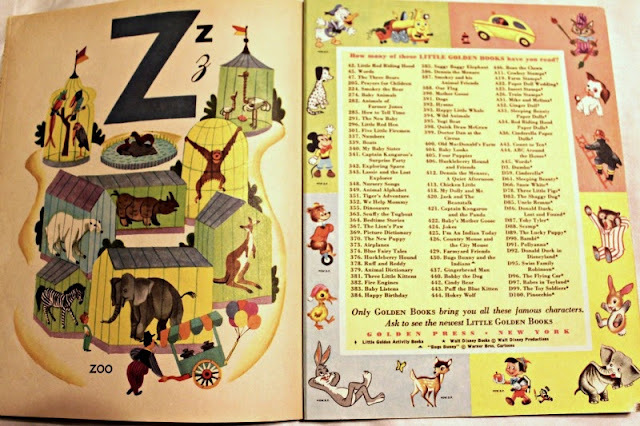 I need to find another one! (It was pretty well-loved by my husband's family before I saw it. I didn't even know what the cover looked like until now."